A resume summarizes the story of your life, highlighting your academic and/or professional achievements. If you plan to send your resume to employers involved in different industrial or commercial divisions, then you will want to showcase your skills in a way that will help interviewers decide whether or not you’re hire-able. Producing an original and creative resume from scratch can be difficult without professional help. But luckily we pinged our recruiter pals and got their advice to help you get ahead. Using the following tips is a sure way to help you create a resume that’ll make most employers sit up and take notice. Because he or she will be going through and screening an almost countless number of resumes, the human resources manager isn’t able to spend more than 5 minutes on each. You’re applying for a job, not submitting the manuscript of your autobiography, so make sure that you include only the pertinent details. For instance, the particulars of your academic and professional background. Hopefully you are aware of this, but it’s worth repeating – your resume should be completely free from grammatical or spelling errors. 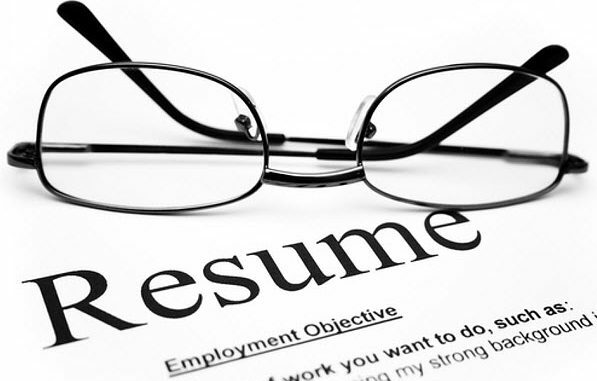 Be sure to revise your resume several times, and have a friend or colleague look it over as well. It’s easy to become over-enthusiastic and use small fonts in an attempt to to squeeze too much info onto a single page. Doing this will give your resume a clumsy appearance and the recruiter will have a difficult time reviewing it. Always use a font size of 12 to make it easier for the HRD manager to read. The resume should be written in a way so that the recruitment manager can figure out the timeline of your accomplishments, events, and happenings, etc. Showcase or present info in a chronological order, starting from the most recent and ending with the earliest. Use past tense to describe past events, while present tense should be used to detail roles or responsibilities that you are currently active in. Don’t neglect showcasing your achievements and pay raises or promotions you got because of achieving your targets. Highlight your accomplishments by including names of superiors and companies. Quantify your achievements with circumstantial facts and figures. Just saying that you did well at your previous job is vague and doesn’t really prove anything. Try to avoid starting sentences with ‘I’, ‘mine’ or ‘my’. It’s important to realize that you need to maintain a professional tone and avoid giving an informal touch to your resume by using pronouns in the first person. Make your resume an extension of yourself and let it reflect your individuality. Turn your resume into such an interesting read that the recruiter is tempted to go over it again and again. The details of your resume should be presented in an orderly manner so that the person reading it has a clear idea of whether you’re the right person for the job. Present all relevant info in a manner that perfectly showcases the ways in which you’ve progressed over the years. Instead of simply listing your past jobs, achievements, and experience, key in the context or background related to the details. Format the resume consistently, from beginning to end. For example, if an arrow was used as a bullet-point to mention your responsibilities in a certain role, be sure to use the same symbol to specify-roles you’ve had with other firms. You don’t need to take up valuable space listing the names and contact numbers of your references. The interviewer assumes you have references and can always contact you for more information if needed. Picture yourself as the hiring manager and frame your resume from his or her viewpoint. If you’re applying for a software developer opening, your resume should list the professional programs you’ve completed in software development. Likewise, if you’re applying an accounting job, then your resume should detail your academic and professional accomplishments in the accounting field.